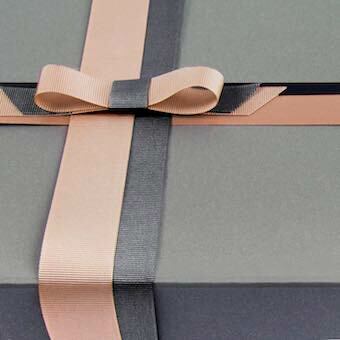 At Tiny Box we can personalise your ribbon for a stunning finishing touch to any package. 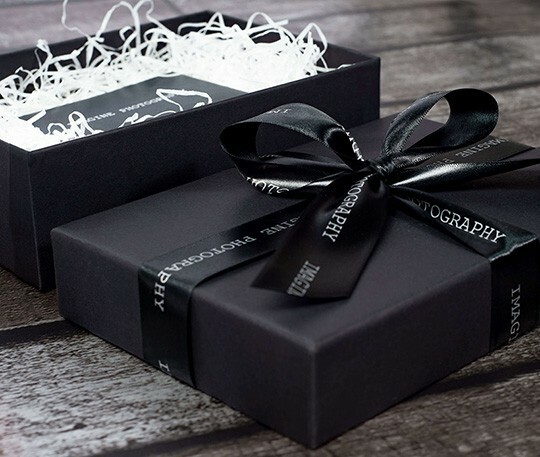 A branded packaging experience shows your products in a very specific, designed way that excites customers as soon as the box arrives giving them the whole gift experience. 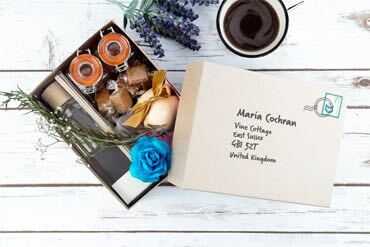 Branded packaging builds anticipation for opening the order and creates a desire to repeat that experience, usually leading to another purchase. 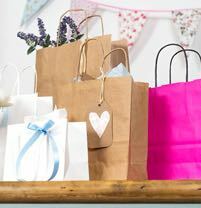 Are you a start-up business needing short runs of branded ribbon? Our new in-house ribbon printing allows us to be able to provide foil printed ribbon at low quantities. Our minimum order is 1 roll of our stocked ribbon, making ordering as a small business super simple without the high volumes. Our lead time for printing is approx.10 working days from point of payment. 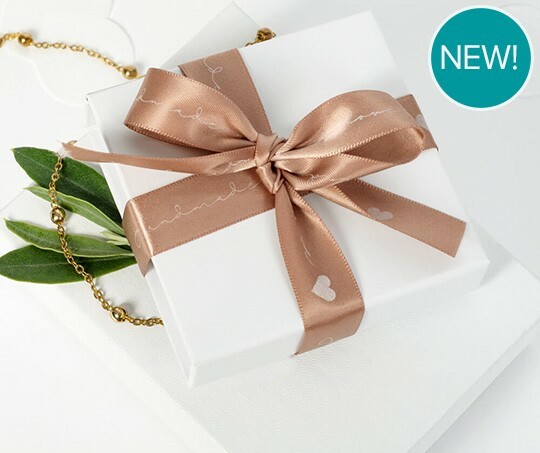 Simply choose a ribbon from our stock range of double faced satin ribbon, and email your logo and request along to printing@tinyboxcompany.com. Double Faced Satin Ribbon only. Colour print: Gold, Silver, White, Black. For best printing results we require your logo in a vector format. This will ideally be an Adobe Illustrator file with the file type of .ai, .eps or .pdf. All files need to be supplied at a minimum of 300 DPI (dots per inch) or higher. Please note that images and jpeg files saved as an .eps or .pdf are not vector files and are not accepted. If you already have a logo but need it re-created in a higher resolution our Art Department charge a rate of £20 + VAT per 30 minutes needed to rectify any issues. All files we re-work will be sent back to you in vector format for your future use. We can provide a variety of digitally, foil or raised printing bespoke for larger quantities. The minimum print order for bespoke ribbon is 1000 metres. Once you send your logo and spec over to us we can come back to you with a quote.